One of the most unpalatable features of the banking crisis was the fact that executives, traders and senior managers kept their bonuses even though the profits on which those bonuses were based evaporated. Improving the quality of financial reporting and enhancing accountability for the benefit of investors has understandably sat at the heart of regulatory reform post-crisis. Nearly five years after the Dodd-Frank Wall Street Reform and Consumer Protection Act of 2010 was enacted, the Securities Exchange Commission (SEC) has proposed new rules for companies, addressing the fact that many financial services businesses are looking to ‘claw back’ big bonuses that have been paid to employees who are later found to have broken the law. Under the proposed new Rule 10D-1, listed companies would be required to develop and enforce recovery policies that in the event of an accounting restatement, claw back from current and former executive officers incentive-based compensation they would not have received based on the restatement. Recovery would be required without regard to fault and the proposed rules would also require disclosure of listed companies’ recovery policies and their actions under those policies. According to the SEC chair Mary Jo White, the proposed rules will result in increased accountability and greater focus on the quality of financial reporting, which will benefit investors and the markets. In South America, much work has also been done to implement better corporate governance practices that generate greater transparency, accountability and operational efficiency and to help businesses improve their access to capital to enter new markets and to respond to stakeholder concerns. Indeed, the Organisation for Economic Co-operation and Development (OECD) White Paper on Corporate Governance for Latin America puts ‘ensuring the integrity of financial reporting and improving the disclosure of related party transactions’ as one of its main priorities. There has been some recent improvements in shareholder rights in Latin America. One important driver has been the influence of the OECD Principles on Corporate Governance. In Colombia, the OECD accession process has propelled corporate governance into the national consciousness. Similarly, in Peru, recent changes such as the new ‘Código País’ – a revised corporate governance code developed in line with international practices – have elevated the importance of corporate governance. Corporate governance is without doubt a key element of economic growth and sustainable development across every region. 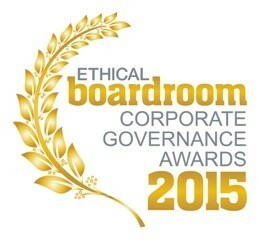 Ethical Boardroom is proud to announce the winners of “Best Corporate Governance” in their respective industry sectors across the Americas for 2015. The awards recognise the outstanding leadership from boards of public companies who have raised the bar to ensure that strong corporate governance plays an essential part in protecting and enhancing long-term value for all stakeholders. Our awards program is a vital part of our continuing mission to elevate corporate governance standards globally. For those who have made it to the top of the mountain for 2015, we salute you for leading the way. Best Corporate Governance Food & Beverage General Mills Inc.
Best Corporate Governance Utilities NextEra Energy Inc.
Best Corporate Governance Telecoms BCE Inc.
Best Corporate Governance Airlines LATAM Airlines Group S.A.
Best Corporate Governance Manufacturing Embraer S.A.
Best Corporate Governance Oil & Gas Ultrapar Participacoes S.A.
Best Corporate Governance Utilities ISA S.A.
Best Corporate Governance Retail Cencosud S.A.
Best Corporate Governance Mining Buenaventura S.A.